XPL™ technology can be designed to act as a protective barrier against external agents for regions of compromised skin (e.g. dermatoses). The occlusive property of XPL™ will prevent excessive water loss and provide a suitable environment for the skin to heal by iteslf. 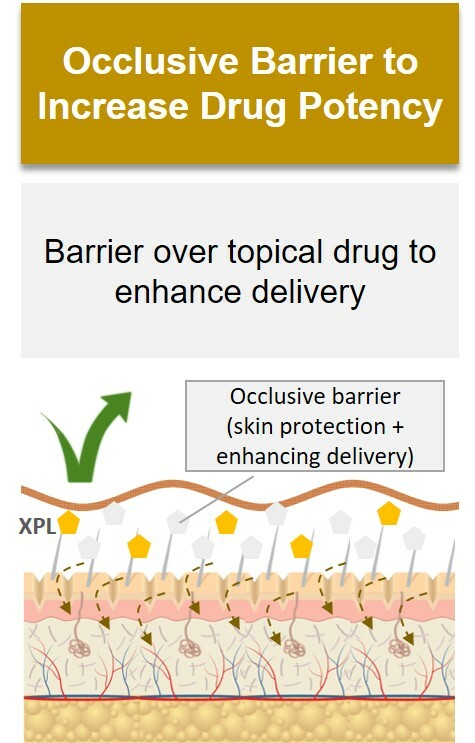 Besides acting as a barrier and preventing excessive water loss, the occlusive property of XPL™ can be leveraged to enhance the delivery of topical drug products deeper into the skin (when applied on top of drug). 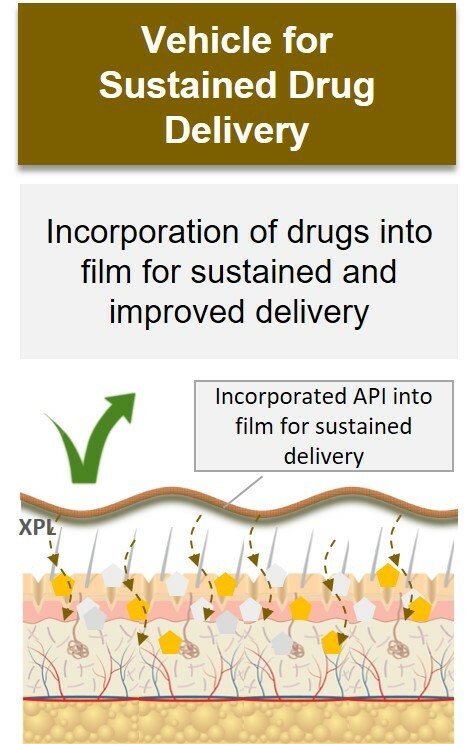 The flexibility of the XPL™ formulation allows for incorporation of oil-based and water-based drugs, turning it into a vehicle for delivery of drugs through the skin. The tunability of the XPL™ system can be leveraged to design a sustained delivery profile.